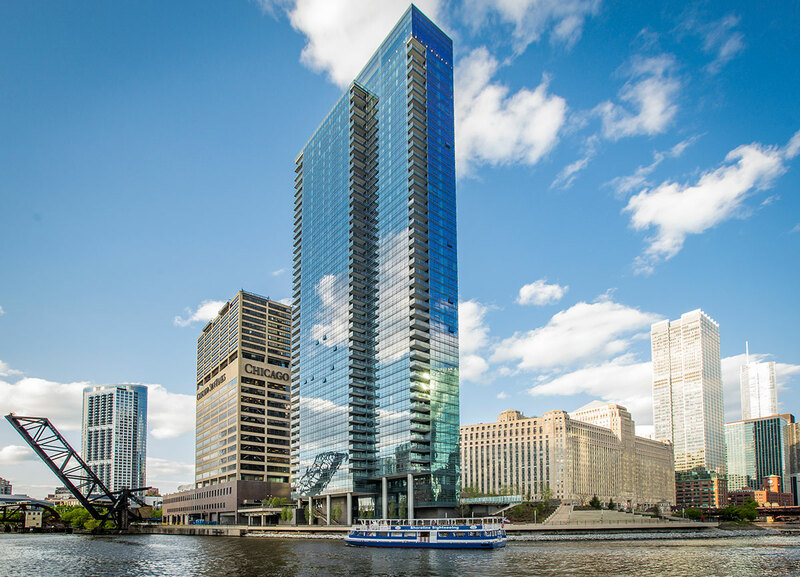 Wolf Point West brings the height of luxury apartment living to the Chicago River’s edge. 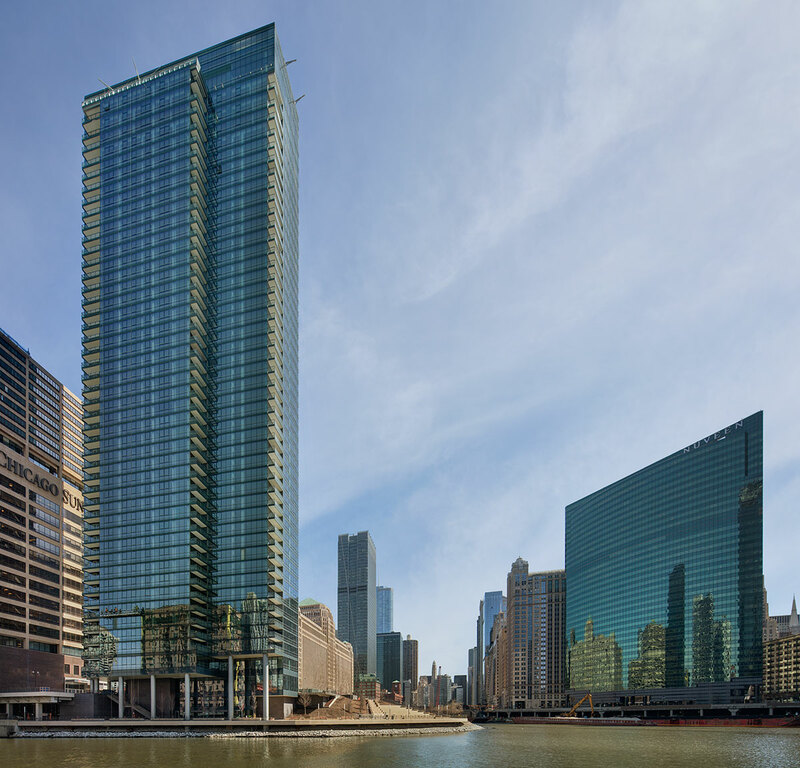 The 46-story tower features 509 apartments and a mix of studio, one, two and three-bedroom floor plans. 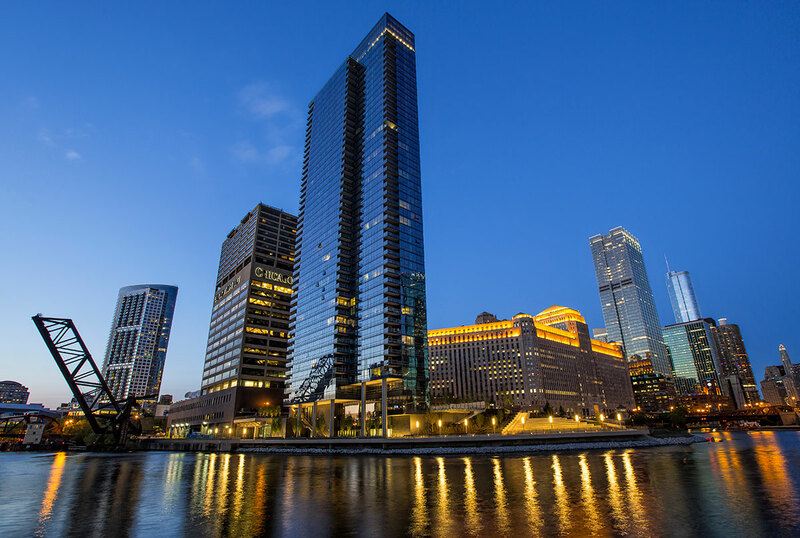 Located in River North’s bustling entertainment center and just steps from the central business district, the building offers unrivaled amenities including an outdoor pool and sundeck, direct access to the river walk, a state-of-the-art top floor fitness center and game room, a top floor outdoor terrace with fire pits, an indoor-outdoor dog lounge, and unparalleled views of the city in all directions.